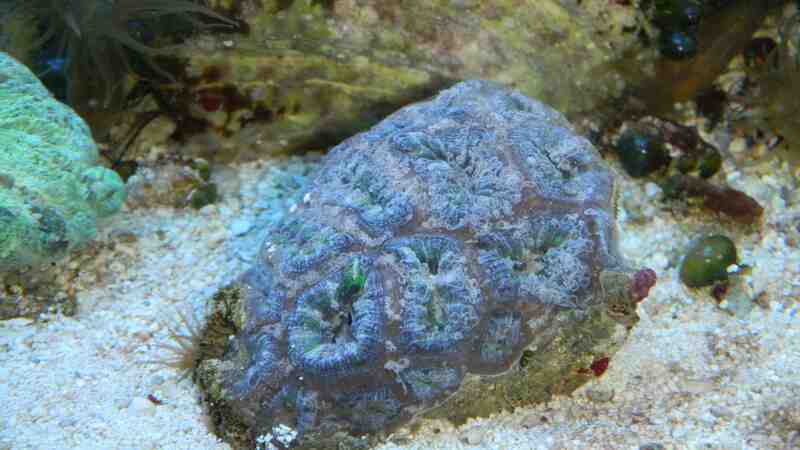 iv had this green brain coral for a good year and a half now. it seems to be doing fine, but not great and bad either. so i was wondering if this is normal. 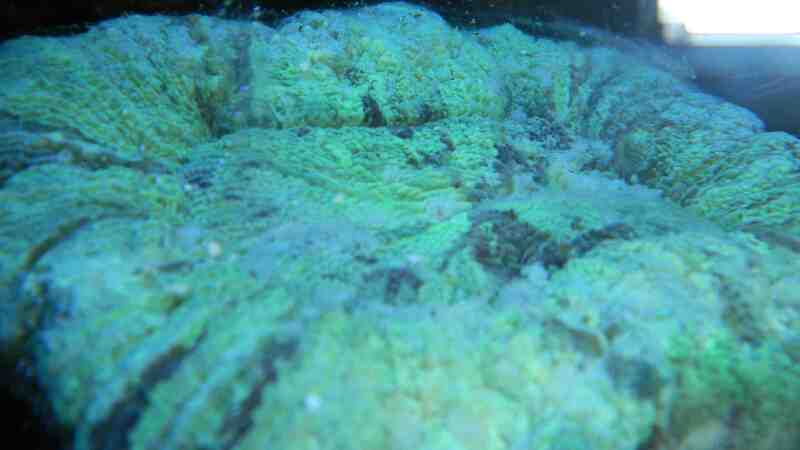 in the past i have seen brain corals so big their almost eating themselves. i feed it 1-2 times weekly, it lives in the sand bed pushed against some rock. 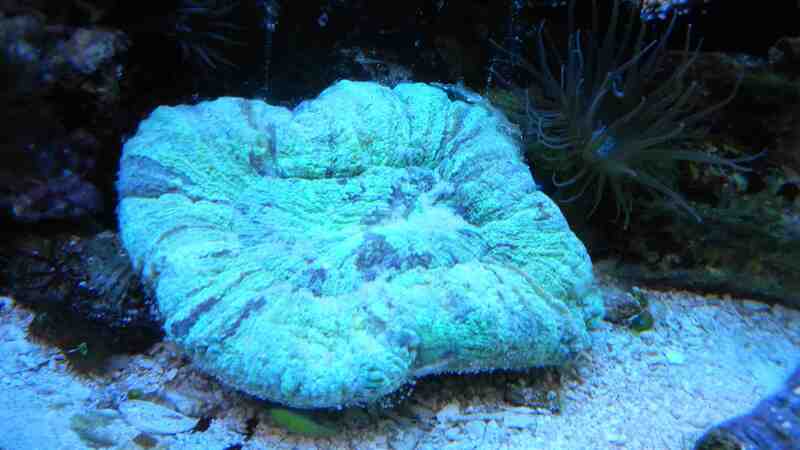 Its tough to explain what might be the causes of a coral not doing as well as it should... could you post a picture of the coral? what do you keep the salt level at? how are the other parameters in the tank? what type of lighting? Is it possible that a fish is picking at it? unfortunatly i do not have a picture of the coral at the moment i will however try and get one up as soon as i can, i looks to be doing fine, just it's not doing GREAT. if you want to see a picture, it's the same one i posted a long time ago, it still looks the same in my photos. the params of my tank i did a full run of tests ph 8.2 norm, and for all the rest ammonia, nitrates nitrite good and check. my tank is 30 gal tank it's been running steady for a good 2 years, under T5 HO tubes, x4 bulbs good amount of light. in the case of other fish picking on the brain i dont think so, i have 2x clown, 1 starry blenny 1 watchman goby, 1 royal gramma. thats it. maybe i'm not feeding it enough, how often are they suppose to be fed, so far iv been feeding it once or twice a week. a silver side or a shrimp, and some frozen stuff sometimes too. when are you feeding the coral?? try feeding small food ( or minced ) like mysis and make sure to do it at night ( lights out ) when the coral is fully open / tentacles extended. do you test other parameters, like Ca/ ALK /Mg?? are you dosing anything to maintain these params? how often and how much water do you change?? so iv managed to get some pics up here, this is when it's really bad can anyone tell me why it keeps doing this. it's right after a water change. everything grows back fine but i'm starting from new each time. it looks like the coral is feeding in the first two pics. they look very different when feeding, almost like they're turned inside out but if you look carefully you can see the small feeding tentacles extended ( best seen around the edge ). also the first two pics look to be with the lights out ( feeding time ) while the third is under full light. knowing your other parameters ( Ca / Alk / Mg ) and more about your water change schedule /volume may help determine why the growth isn't what you're expecting. Is that aiptasia I see? It looks like it's sloughing from stress of the water change. The last picture doesn't look good at all. What is your percentage of water that you change when you do change it? and is it heated to the same temperature and at the same salinity? I had an awesome looking brain for almost 2 years. Then out of nowhere it just started receeding until there was nothing left. Tried figuring out why, but there was no real answers out there. just to keep this discussion up to date, i had been doing 10% water changes every week, nothing heavy the temperature was the same always i left it run the night before and did the water change in the morning.